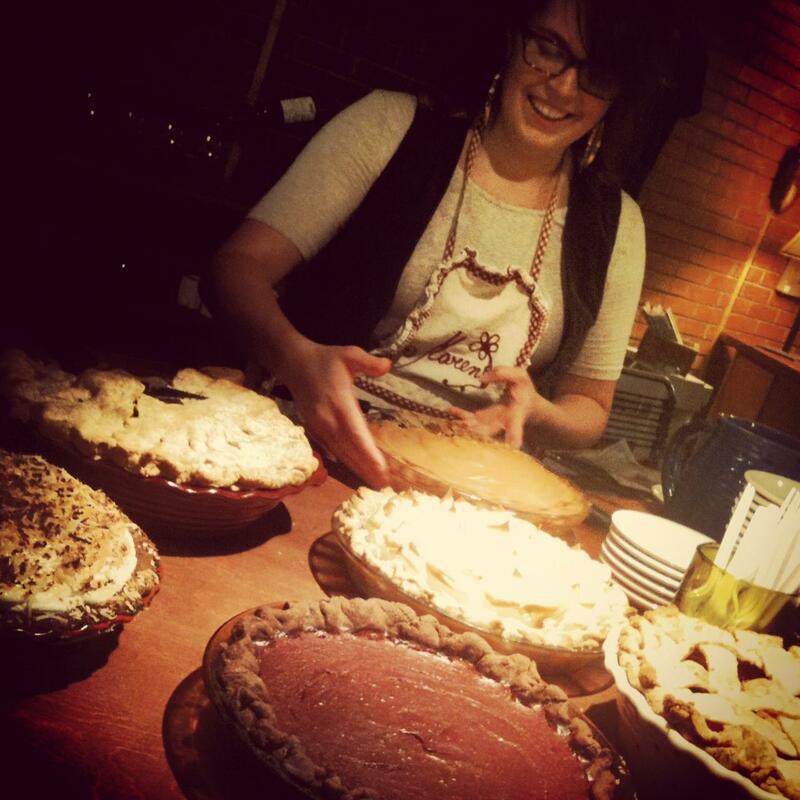 Tip #127 from Karen, Pie Maker Extraordinaire: Go forth with confidence! 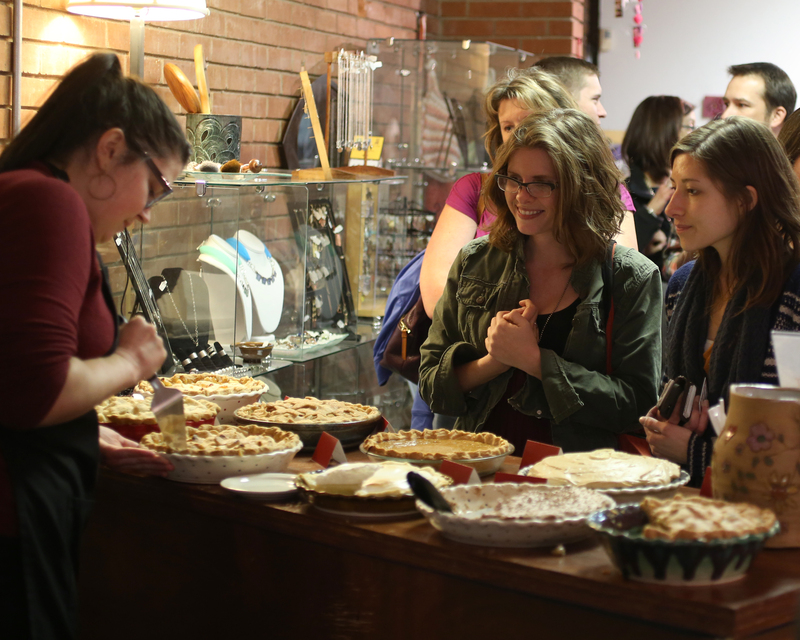 Fourth Friday is that special night where Phoenix descends on Practical Art to taste the delicious, slice-o’-heaven offerings created by Karen Olson, of Vonceil’s Pies, at our monthly Share of the Pie: Charity Night. Each month, to benefit a local organization doing some local good, Karen crafts about a dozen artisan-style pies with names like “Hipster Apple Pie”, “Mexican Chocolate”, and “Gouda-Crusted Pear Cardamom”. 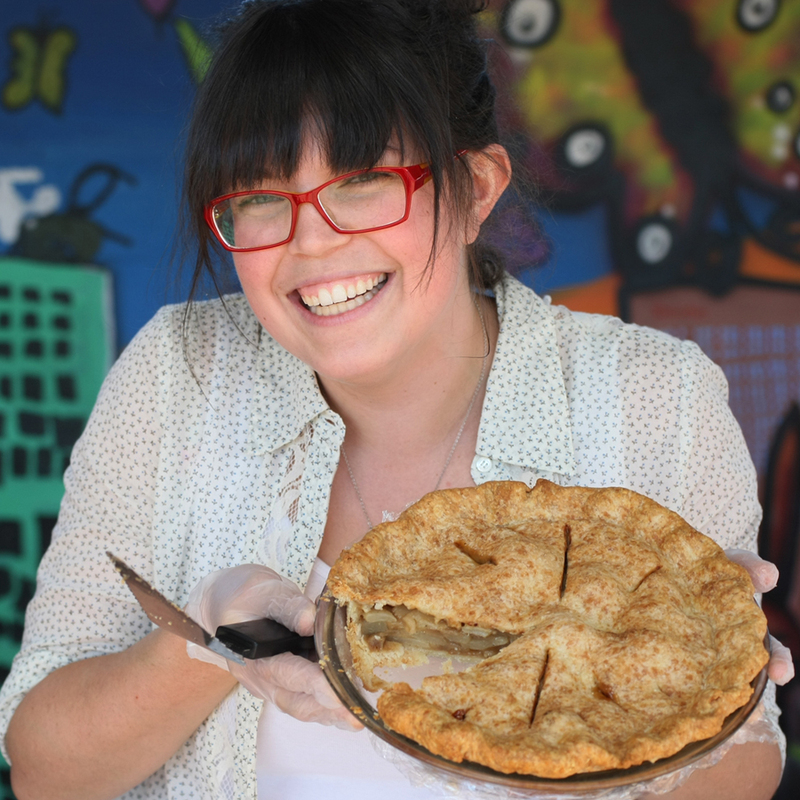 She’s become something of a local celebrity, participating annually in the Roosevelt Row Pie Social and regularly lending her expertise to Treehouse Bakery, so we’ve asked her to share some tips to help you all in your baking endeavors and to getcha pumped for this Friday. For this regular feature, she’ll have tips on techniques and tools, how to “get your mind in the game”, and other notes on creating pies that’ll have you back to the fridge for leftovers at midnight (if there ARE any leftovers that is!). Tune in next month for another tip (and to find out what ‘dirty icing’ is! Inquiring minds (mine) wanna know.). If you wanna taste WHY you should be listening and taking her advice, make sure to come by this Friday for January’s Pie Social, benefiting The Buck Truck! From 7-9pm, January 24th, we’ll be here with pies at the ready! Feel free to bring your own plate, or purchase a handmade one here on the spot, to help us keep things eco-friendly! Posted on January 21, 2014 January 17, 2015 Categories Pie BlogTags baking tip, charity pie night, cooking with confidence, dirty icing, Karen Olson, perfect crust, pie tip, Practical Art, the buck truck, treehouse bakery, Vonceils piesLeave a comment on Tip #127 from Karen, Pie Maker Extraordinaire: Go forth with confidence!